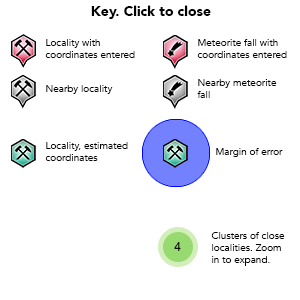 The genesis of amethyst geodes in basalts (Serra Geral Formation) at Ametista do Sul, Brazil, is considered as a two-stage process with an early magmatic protogeode formation and a late, low temperature infill of the cavity. 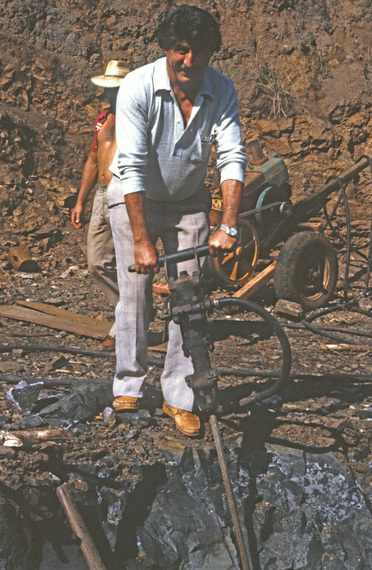 Originally named São Gabriel, renamed Ametista do Sul back in the 1980s. 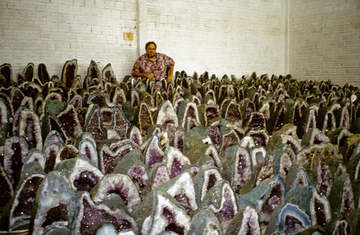 The municipality of Ametista do Sul and the little town with the same name are undoubtedly the world's capital of amethyst, at least in terms of current production. 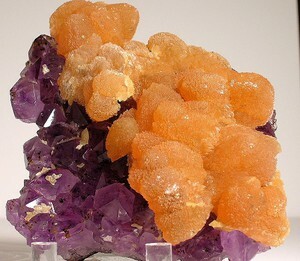 At any one time there are probably a substantially greater tonnage of amethyst in Soledade than in Ametista because that is the commercial town where most of the amethyst and agate and other stones are sold. The production from the mines at Ametista do Sul does not hang around the town or the mines very long before being sold and hauled off to Soledade. The town used to be called Sao Gabriel and the quickest way to get there from Soledade was to take a ferry across the river and of course the roads were not paved. Description: All the "anhydrite" blades from this locality are hollow paper thin quartz epimorphs with all the anhydrite gone. Gilg, H.A., Morteani, G., Kostitsyn, Y., Preinfalk, C., Gatter, I., Strieder, A.J. 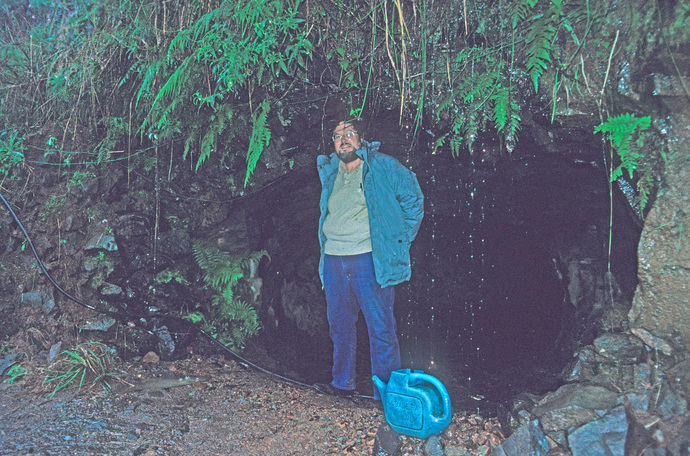 (2003) Genesis of amethyst geodes in basaltic rocks of the Serra Geral Formation (Ametista do Sul, Rio Grande do Sul, Brazil): a fluid inclusion, REE, oxygen, carbon, and Sr isotope study on basalt, quartz, and calcite. 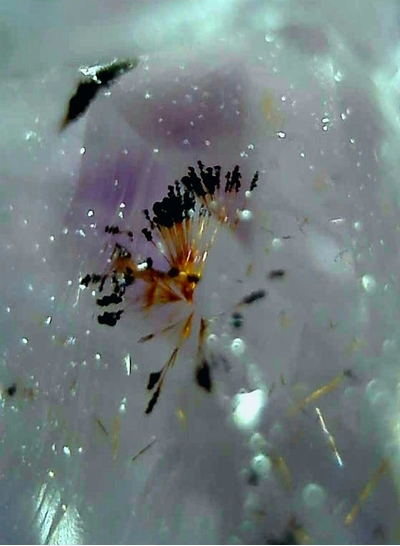 Mineralium Deposita: 38 (8): 1009-1025. 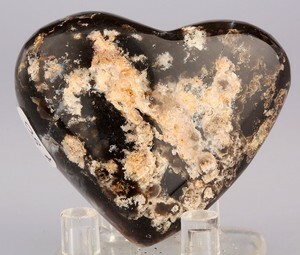 Mossmann, D. J., Ehrman, J. M., Brüning, R., Semple, L., Groat, L.A. (2009) "Skunk calcite". 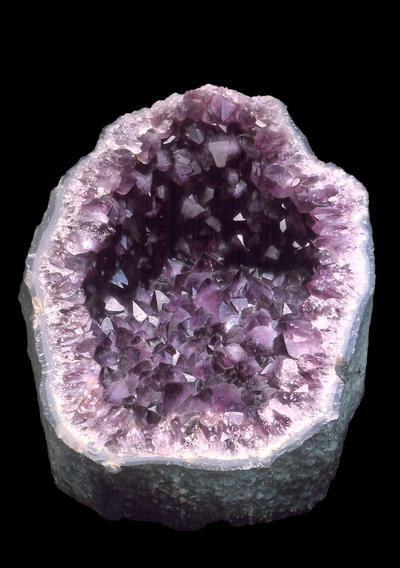 Mineral Paragenesis in an amethyst geode from Ametista, Rio Grande do Sul, Brazil. 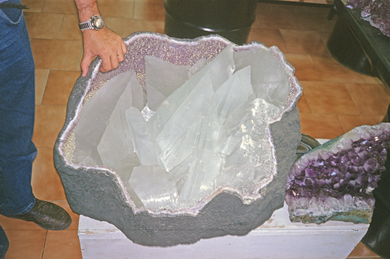 Mineralogical Record 40: 121-125. 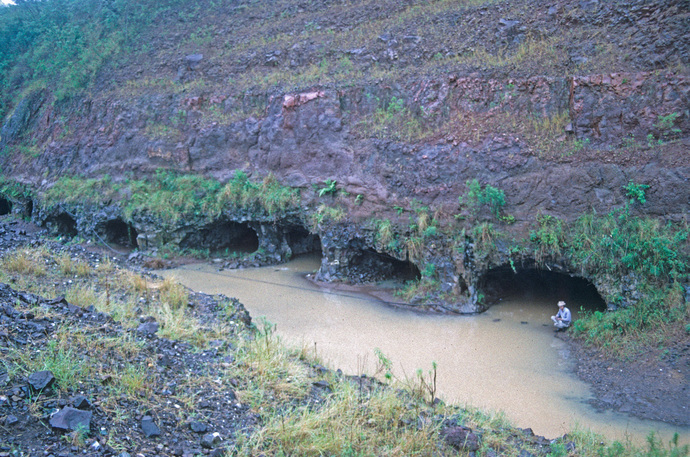 Rosenstengel, L.M., Hartmann, L.A. (2012) Geochemical stratigraphy of lavas and fault-block structures in the Ametista do Sul geode mining district, Paraná volcanic province, southern Brazil. 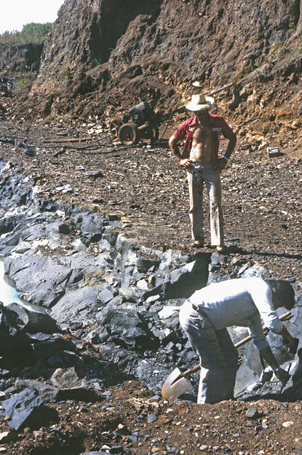 Ore Geology Reviews: 48: 332-348.